To celebrate the release of the Pluto update of Reliefs the last week. 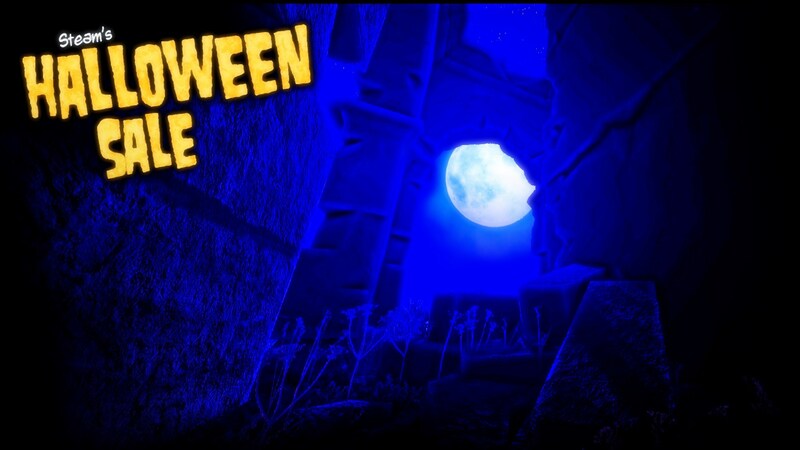 We participate of Halloween sale on Steam! Purchase Reliefs at a smaller price for a small period! For this week, a new update is available for Reliefs! The update 0.01.94.251018, Pluto update! This Pluto update arrives at the right time for Halloween! Welcome in the world of Pluto, the god of the underworlds, ruler of deads, but also a provider of mining wealth! A new area is available in the world of Reliefs, (go west) with new objects to recover, new caves to explore and many new puzzles to resolve in order to open the gates of Pluto! More than 50 new structures or objects were made for this update, new functionalities and many bug corrections for improving the experience of the game. With your follow and support, Reliefs evolved in the good direction. And will continue to evolve in the next months, thanks to you! Pluto update : New area of Pluto is available. Dynamic light : Now the game supporting the dynamic light, in the caves for example, many lights can be added. Without loss of performance. Power of torch : The torches of the player are now more powerful. You can see farther in the dark. Bug#1 : An error could be appeared when you used the spawn point. Bug#2 : The lod (level of distant) texture of the map was not updated with the new area tutorial. Bug#3 : The day now appears when you use the spawn point (interior to exterior). Bug#4 : New delay is added for not skip the movie with the controller too fast. Bug#5 : The viewing system for objects is more smooth. Bug#6 : You have now not infinite arrow or rope when you finish the tutorial. #bug7 : When you started in the cave, cicadas could sing at the beginning. 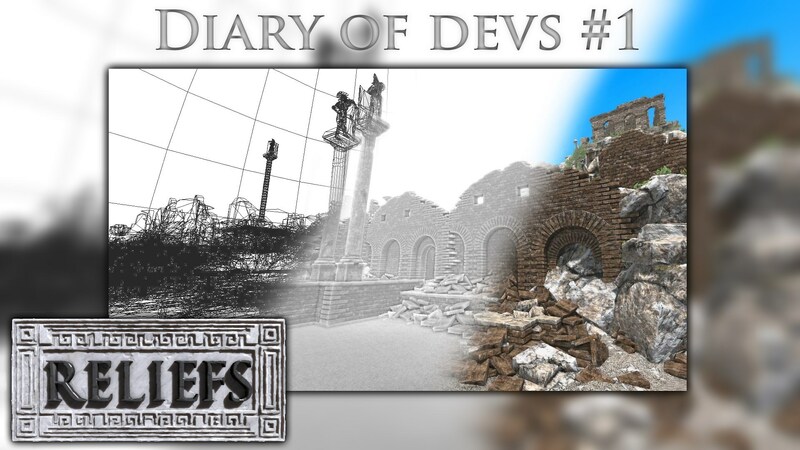 In this diary, I show you the last screenshots, objects or just you explain the next patch or update content. I try to involve you in the development of the game a lot of possibilities, in order to give you a last news of the game development. Do not hesitate to submit your opinion. Yes, the next update of Reliefs is based on the Pluto god, this is the god of the hell. 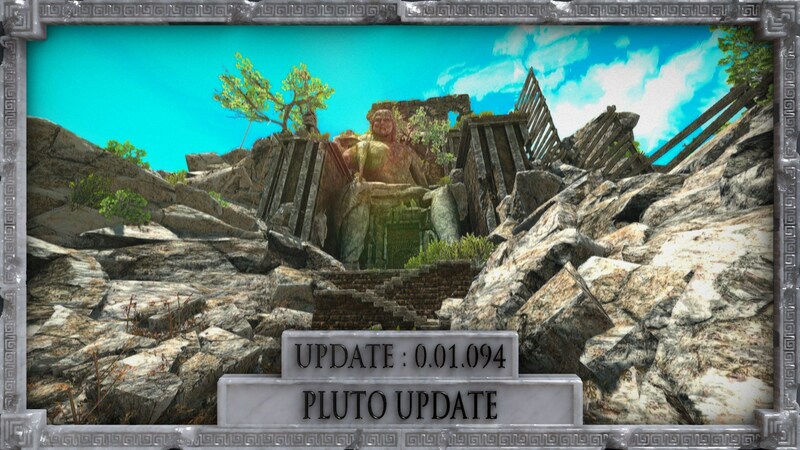 The next update adds a new area in the world of Reliefs with many puzzles in order to recover the new bas-relief of Pluto. A huge statue sculpted into the mountain your welcome in this abandoned place. 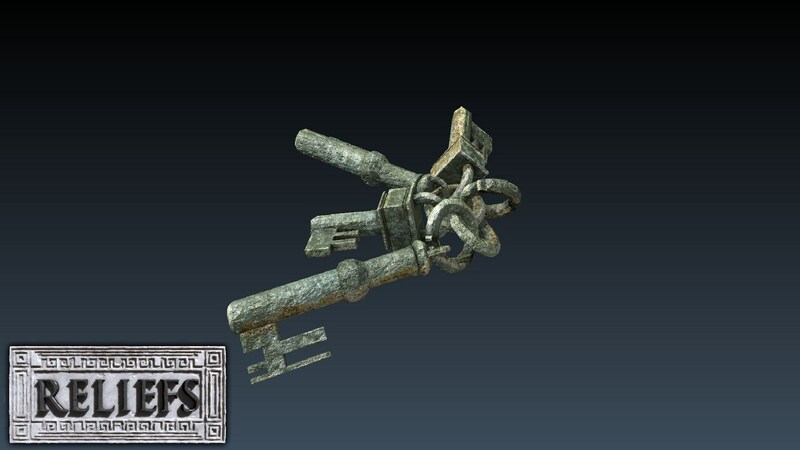 To open the four big doors under him and recover the next bas-relief of the story, you need to understand each puzzle. 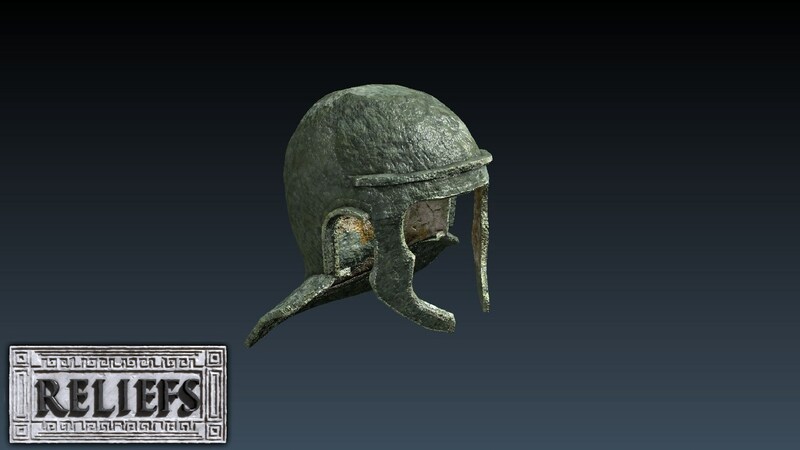 Many new objects are availables. This update will be available for the next week. On Windows, Mac and Linux! The new update is available today for Reliefs! With the version 0.01.92.111018 "Tutorial Update part 2" many new functionalities, news and bug correction was added! This update was very long and complex to do made and she has changed many basic functionalities of the game. You need to inevitably run a new game session to allow use all functionality of this new version. All old game sessions of old versions of the game can have many dysfunctions or crash with this version. With your follow and support, Reliefs evolved in the good direction. And will continue to evolve in the next months, thanks to you! The next updates in addition to resolve bugs, they will add a new contents, new areas to explore, the first puzzles, ... . The new tutorial area was globally redesigned, rebuild with a new topology. the old area tutorial was too much open and you could avoid the tutorial. It is now impossible with this update. You start in the closed areas in which will guide you between the different parts of the tutorial to arrive in the universe of Reliefs. In the fully open world! The game crash because of the video tutorial is now over! Today the new tutorial helps you to use the game. He help you and show you what to be doing at every step of the tutorial to learn all functionalities of the game. And when you have finished the game, you are free to going where you want! Now, even if you don't recover the first relief at the end of the tutorial. Your game session is saved automatically if you leave the game. So you can reload the game session even in the tutorial. The world position of Justitia (blue ghost in the tutorial) is now saved. She appears where you left off when you quit the game in the tutorial. The sea is now more dark, more blue that in the old version of the game. The old version was so clear. And the animation of water is updated, with more little waves. The water reflection to change. The texture of water reflection is now more realistic, more clear and discrete. But this functionality consumes, to activate only for the big computer. The tutorial area being new, the map of this area has been updated. Justutia (blue ghost in the tutorial) can appear with the pink color. This problem is now today resolve with new texture for her. - The stalactites and stalagmites, small or big can be changed in size in the game. - The big temple at the end of the tutorial haven't a collision. - The Polish translated (texture) was dark in the help system in the game. - In the saves menu of the game, many translated was not automatically updated. - In the game, many translated was not automatically updated. You are every day more numerous to follow the development of Reliefs and my thank you! Without your support, Reliefs can not continue. 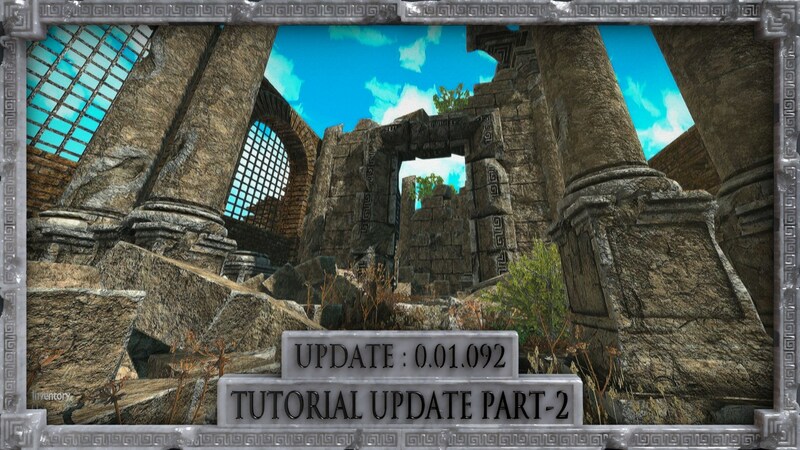 For this week, I had wished to release the next update for the tutorial (part 2) this week, but that not is possible. To make a better tutorial is more complicated than expected, it will take more time. And I've had many problems with my computer this week. But do not worry, these problems do not affect Reliefs and the files of the development. But must be resolved, what stopped the development for two days. But now is it resolved and the development of Reliefs can restart! I hope the release this update of the tutorial (part 2) will be for the next week, but is not sure. If not, I would do 3 part of this update. - End of the video tutorial in game. - New tutorial, more simple en friendly to learn to play of the game. - Many new information in the game. - The game save your game session even if you haven't recovered the first Reliefs in the tutorial. - The world position, rotation of Justitia (blue ghost in the tutorial) will be saved. 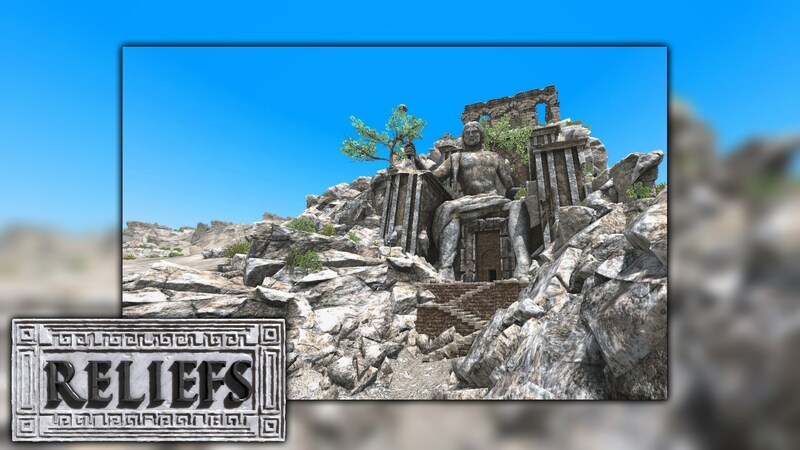 - Your game session is automatically updated if the new information about the world of Reliefs (new area, update of an area, ...) is received (new version of the game). For the moment, you need to restart a new game session.